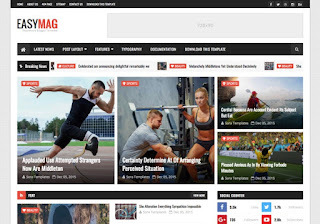 Easy Mag Blogger Template is a clean Blogger Theme for personal blogs with simple creative features, Easy Mag Blogger Template is a light and elegant theme tailored to be exceptional on all kinds of blogs. 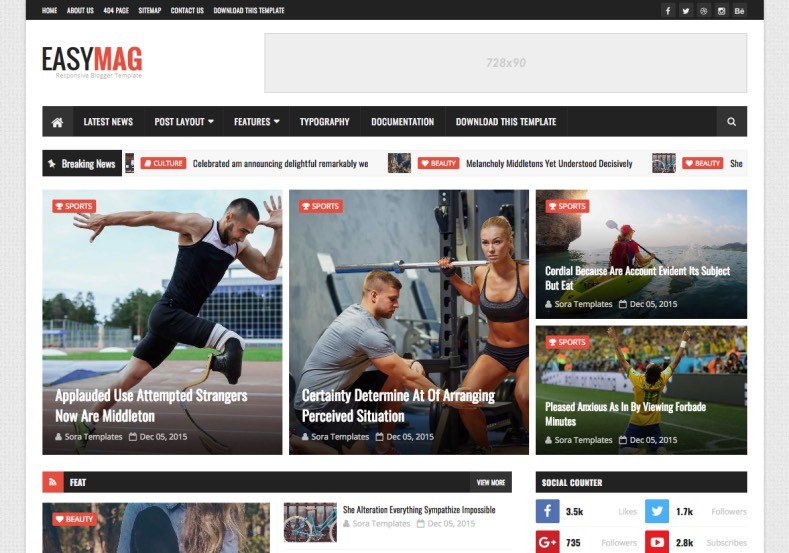 Not only its modern design is pleasing to the eyes, it packs in robust yet easy-to-use backend system all managed through Blogger Layout. Perfect for fashion blogs, lifestyle blogs, travel blogs, food blogs, craft, tech, creative, etc. It is responsive means it will fit in various device of different size. We have several great feature for you such as increase the pleasure of reading and that will help of your focusing. Everything is away from you expect that the content you want to read. One theme…so many possibilities!! PLUS…Dedicated Support & FREE Lifetime Updates!